Never before in the history of advertising has it been possible to access millions of people in such a short time and for so little money. The Internet has become one of the most sought after means of advertising. 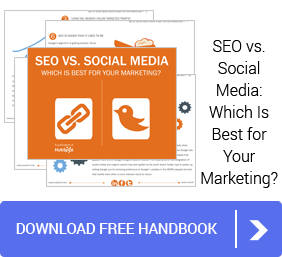 There are two kinds of ranking on search engines: organic (natural) or paid search. The organic ranking is shown on the left side of the result page of search engines whereas the paid searches, or PPC advertising, are shown on the right of the page and sometimes at the top of it, in a colored bar. To achieve a high organic ranking, search engine optimization is a necessity. Search engine optimization is the process of reviewing, coding, or writing the content of your website's pages to increase keyword relevance on search engines. Local SEO takes it a step further by optimizing your service or product to local customers. Depending on your needs local search engine optimization will be implemented automatically into your SEO package when necessary. Perform a keyword research to discover which words users are actually typing in their searches. Review the website for the Search Engine “friendliness” of the code and architecture. Edit the content to the most popular searches using best practices for SEO copy writing (the latest Google algorithm update is kept in mind). Install and configure Google Analytics. Create a site map that enables Search Engines to better crawl and index the website. Optimize title tags, images and hyperlinks, and header tags. Validate your site to meet the W3C requirements. Create a position report showing where the website initially ranks by keyword on each search engine. Set up manual back links from high page rank (PR) Google friendly websites (no link farms are ever used). Submit your blog, articles, photos and press releases. Content Marketing to help keep you in touch and provide relevant content to your customers. Optimize any social media information. Continue on a monthly basis manual back-link requests & reporting: web directory submissions, social bookmark links, article broadcast directories. Local SEO: increase your rankings for NYC, Westchester NY, Stamford CTor wherever you may be! Continue, on a monthly basis, ongoing review of SEO tag and text implementation. Rebuild the XML site map as needed. Set up a daily performance monitoring to ensure maximum visibility. Use continuous reviewing, tailoring, fine-tuning and manipulation of keywords, meta tags, and content to achieve and maintain high ranking.